Crimes are higher on Halloween than on any other holiday, which seems to makes sense. 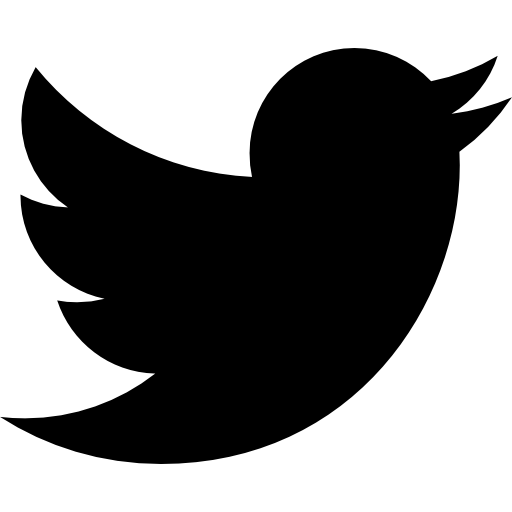 People are galavanting around the streets in the dark, their faces hidden under masks; it is practically a breeding ground for breaking the law. 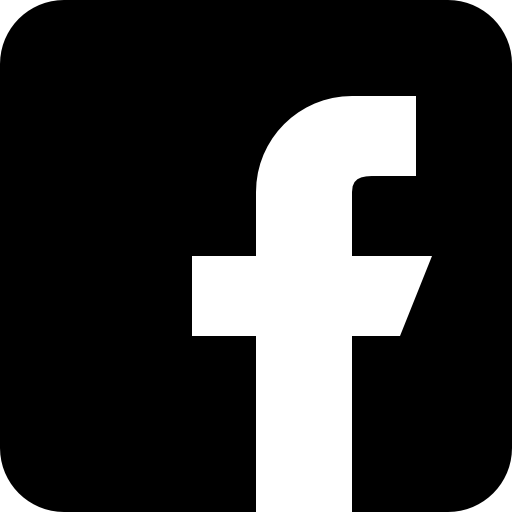 It also turns out that the day of the week that October 31 falls on makes a difference in the number of crimes committed. This year, the holiday falls in the middle of the week, leaving revelers wondering if they should celebrate the weekend before, the weekend after … or both. 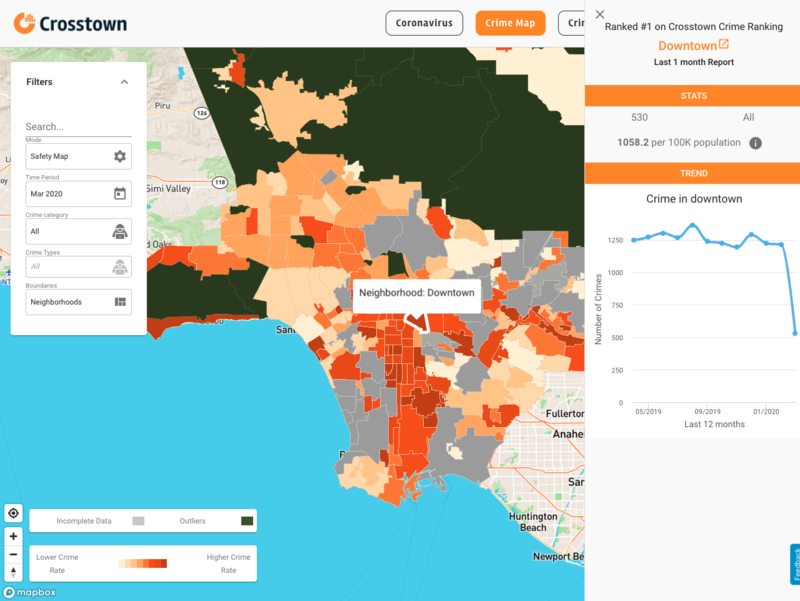 For the Los Angeles Police Department (LAPD) and those concerned about crime in their neighborhoods, the Wednesday holiday could mean good news for crime rates this year. Over the past eight years, crime on Halloween has been higher the closer the holiday is to the weekend. Crime peaks if Halloween is on a Saturday, for example. 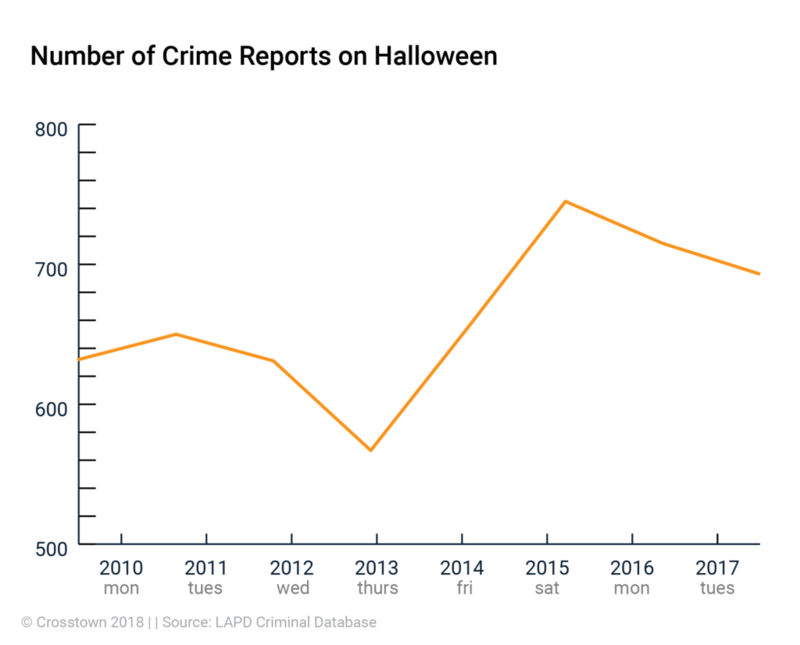 The following graph shows the trend in the number of crime reports on Halloween for each year from 2010 to 2018. 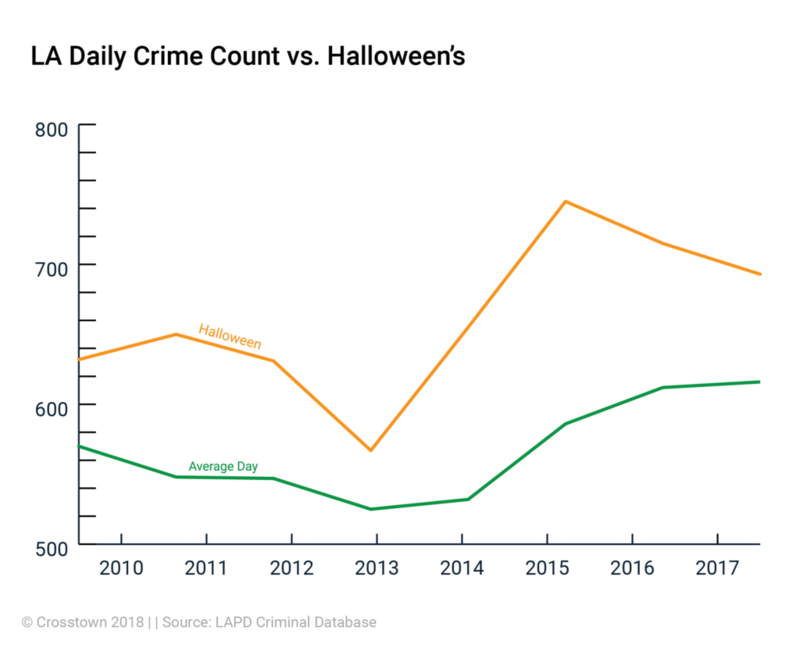 It is also worth noting that since 2010, crime has been higher on Halloween – regardless of the day of the week – than the daily average for that year. 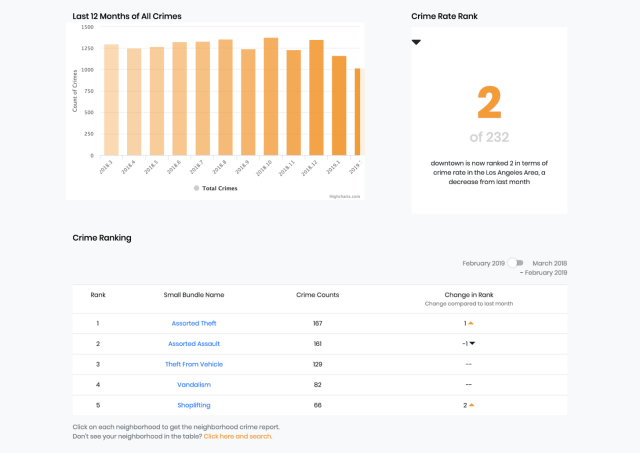 While both the Halloween crime counts and the average day crime counts show a similar trend of increases and decreases, the Halloween plot shows much more variation and a generally higher count in crime reports. We all remember rolling our eyes at our parents’ advice to be careful and stay safe while trick-or-treating, but maybe they were onto something. 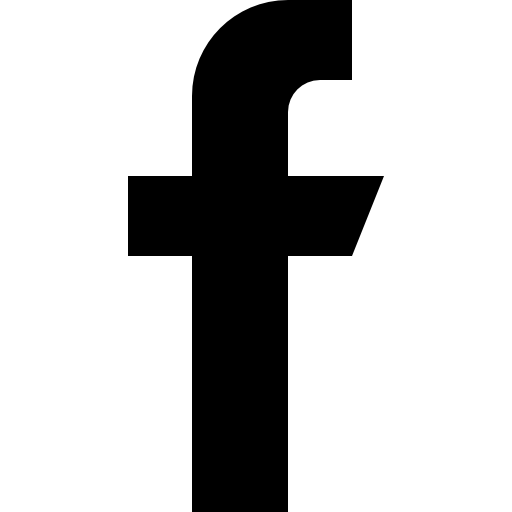 Just look at the numbers.